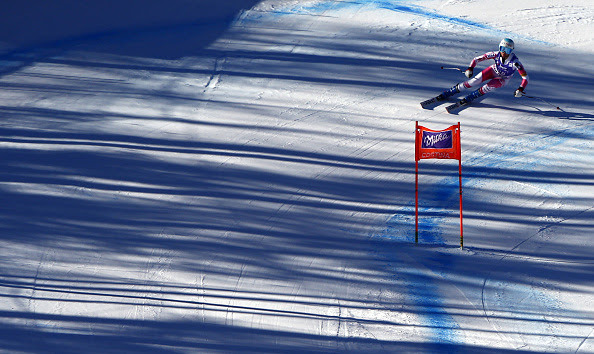 Cortina d’Ampezzo, Italy – The Dolomites stage is set for “Speed Queen” Lindsey Vonn to prevail. She has already notched a record 11 Audi FIS Ski World Cup victories in Cortina d’Ampezzo in all disciplines, including the last four World Cup races held here. The immediate future in Cortina certainly looks bright for Vonn, and it’s not just because the sun is shining and the snow is sparkling in this Dolomitic paradise. After winning her 77th career World Cup in Garmisch, Germany last week in just her second race back from injury, Vonn heads to one of her favorite tracks on the circuit for a downhill and super G. Add to that the fact that, in the first of two training runs, she grabbed the third-fastest time, just .22 seconds off Slovenian Ilka Stuhec’s pace. And, she knows where she can cut time. Laurenne Ross (Bend, Ore.) was sixth in training, Jackie Wiles (Aurora, Ore.) 16th, Alice McKennis (New Castle, Colo.) 22nd, and Idaho’s Breezy Johnson 27th. 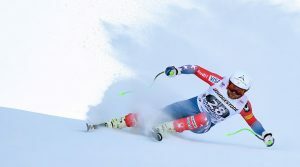 Another Olympic Champion, Julia Mancuso, of Squaw Valley, Calif., kicked out of the start gate on Wednesday for the first time since March of 2015, after undergoing hip surgery. Coming through the finish with a big grin and a sigh of relief, she had fun and will look to make positive steps forward. Over on the men’s side, they’ll take on a pair of downhills beginning on Friday – one rescheduled from Wengen – and a giant slalom. 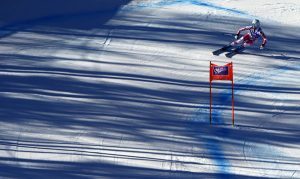 In Wednesday’s training run, Utah’s Steven Nyman posted the fourth-fastest time, leading the way for a strong American Downhiller contingent including Travis Ganong (Squaw Valley, Calif.) in 11th and Andrew Weibrecht (Lake Placid, N.Y.) in 12th.